Lovely Southwestern home with the exposed rafters or vigas. I once had a client from the East that asked me why are there so many Hispanic names in Denver? I was amazed at the question, but we have a strong Mexican/Spanish heritage and influence, as one quarter of Denver Metro’s population is Hispanic, and their culture plays a big part in the richness, history and flavor of our city, not to mention Hatch Green Chile Peppers, but I digress! In addition, our state was named for the Colorado River, which early Spanish explorers named the Río Colorado (one of the Spanish words for red) for the red colored silt the river carried from the mountains through the southwest. The Spanish conquistadors were looking for gold in Colorado, but didn’t realize at the time (mid 1600s) that they had found it in our beautiful state! The houses you see here are quite a mixture of the Mexican haciendas and Southwest adobe and Pueblo styles with colors and trim all over the map. They can feature rows of vigas (beams that protrude through exterior walls and provide structural support for the roof) and roof lines that imitate Pueblo architecture. 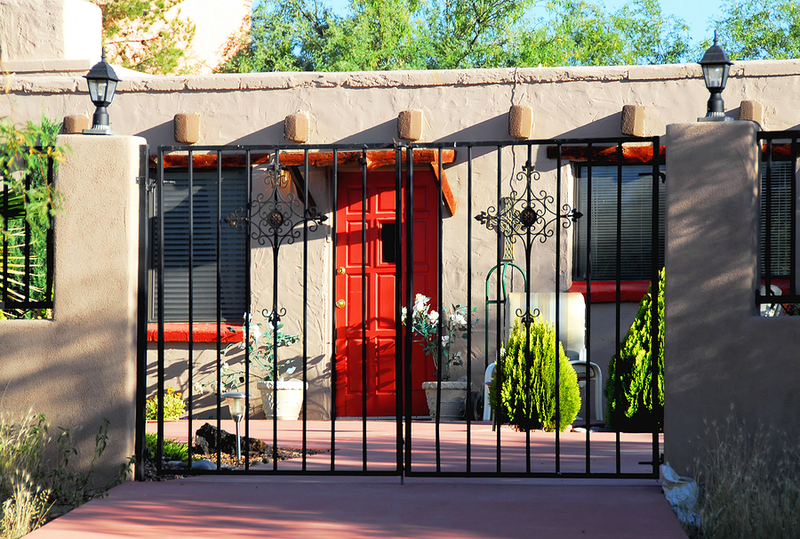 Some of the more expensive homes have a ‘proper’ Spanish Colonial and Mission Revival design. Also, the ‘Spanish, Southwest’ MLS group that this page is about also seems to be a catchall for the adobe/plastered tile roof homes from other styles like Mediterranean, Italian Villa or the Tuscan Villa, so you may see those available homes for sale as well. The Southwest ‘look’ is quite popular in subdivisions around Denver, as in Castle Pines Village, for example. This home search page is for vintage homes built up to 1940, but there is a second search below that is for Spanish, Southwest homes built from 1940 on. 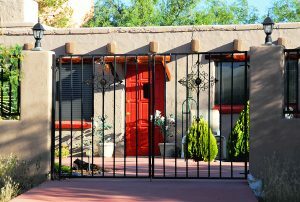 Spanish – Southwest Home Resources: Su Casa Magazine, ADC – Elements of Southwest Architecture.